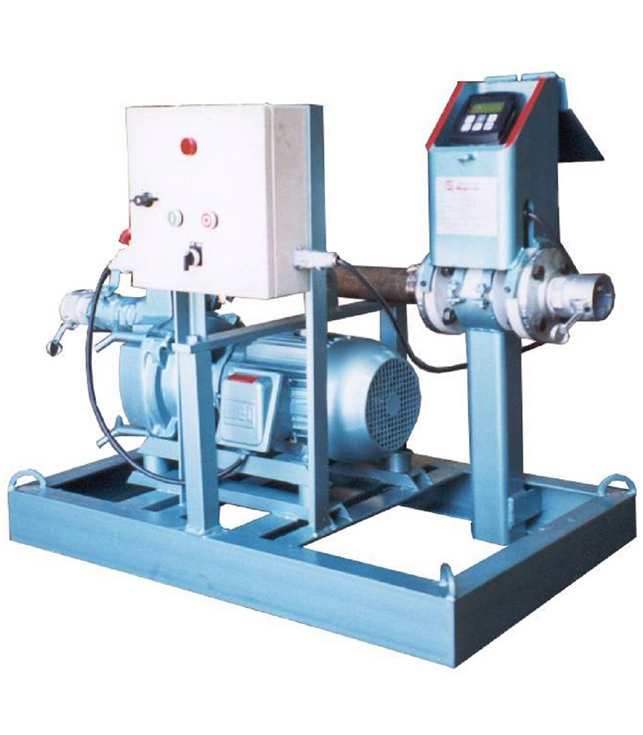 - Centrifugal pump, very compact, light weight for pumping 300 L/min at 6 bar. - Internal mirror seal for easy maintenance. - Easy disassembling for cleaning or repair. - Mounted on skids with rubber supports. - Electric motor drive of 5 HP/450 r.p.m. - Electromagnetic flow counter with several electronic programs.